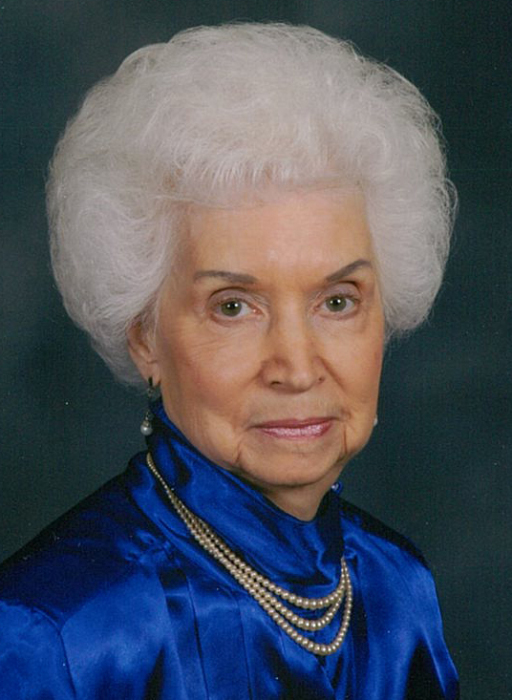 Hastings resident Geneva W. (Benson) Petska, 87, passed away Thursday, January 17, 2019, at Perkins Pavilion Good Samaritan Society-Hastings Village, Hastings, NE. Rosary is 6 p.m. Wednesday, January 23, at Butler Volland Chapel. Mass of Christian Burial is 10:30 a.m. Thursday, January 24, at St. Cecilia’s Catholic Church in Hastings with Father Joseph M. Walsh officiating. Private family burial will be at Ord Cemetery, Ord. In lieu of flowers, memorials may be given to St. Cecilia’s Catholic Church or Holy Trinity Catholic Church in Blue Hill. Visitation is 9 a.m. – 6 p.m. Wednesday with the family present from 4- 6 at the funeral home, and one hour prior to service at the church. Geneva was born May 26, 1931, to Wayne & Myrtle (Hunt) Benson on a farm in Valley County, NE. She attended Brick School through sixth grade, Plain Valley School through eighth grade, and graduated from Ord High School in 1948. Geneva taught at Brick Country School. She married Paul W. Petska on June 11, 1951; he preceded her in death on October 19, 2009. Geneva joined Paul at Fort Sam Huston, TX until he was shipped to Germany. Geneva went back to teaching until Paul Jr. was born. They lived in Ord, Cozad and Grand Island when Paul was employed by Safeway. In 1970, they purchased a grocery store in Blue Hill and ran P & G Market for 18 years. They semi-retired and managed X-L Motel in Hastings for three and one-half years. After Geneva retired from the motel, she worked at Pancake House as a hostess and also worked for Super 8 Motel. She moved to Good Samaritan after Paul became ill.
Geneva was a member of St. Cecilia’s Catholic Church. She enjoyed spending time with family and friends. Geneva especially loved her coffee group. Geneva was preceded in death by her parents; husband, Paul W. Petska, Sr.; daughter, Cynthia Sue; and son, Jack. Geneva is survived by sons, Paul Petska, Jr. of Hastings and Mark (Rita) Petska of Blue Hill; daughter, Kim (Greg) Beam of Fremont; grandchildren, Amanda (Adam) Kahrs of Naponee, Nathan (Anna) Petska of Hickman, Amelia Petska of Gothenburg; Brianna (Andrew) Longwell of Elkhorn and Brennan Beam of Omaha. Great grandchildren Emma, Stetson and Beau Kahrs, Ambrose Longwell, Emerson Petska; brother, Dallas (Pauline) Benson of Butte, Montana; and sister-in-law, Lorene Meese of Ord. Many nieces and nephews that loved their Aunt Geneva.